The Garment District is our sister store, located on the second floor of our building at 200 Broadway in Cambridge. The Garment District is one of the most unique department stores in existence! Since its opening in 1986, The Garment District has specialized in high-quality, affordable clothing and accessories ranging from vintage to contemporary styles. With clothing for men, women, and children, there is always something for everyone! Clothing is separated into departments, such as Contemporary, Designer, 80's & 90's, 60's & 70's, Vintage, Work & Military, and Used Costume. 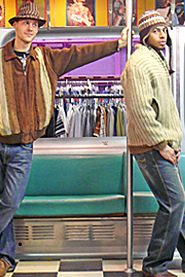 A section of new men's and women's clothing offers a selection of current trends at great prices! There are also new and used accessories to help complete any look: sunglasses, purses, ties, hats, belts, jewelry, socks & stockings, and much more! 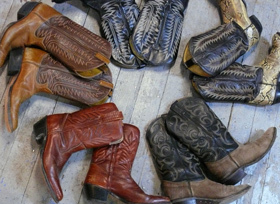 A large shoe room boasts a huge selection of new and used kicks in all styles and sizes. Whether it’s for everyday wear, a Decades party, or wardrobe for a play or film, The Garment District has you covered from head to toe! 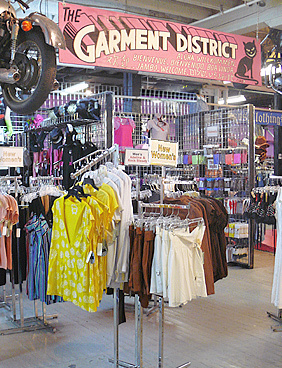 To visit The Garment District website click here. While you're at our store, don't forget to check out By The Pound! 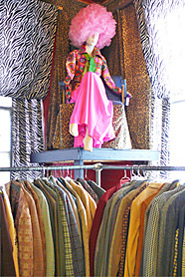 Also located on the 1st floor of our building, By The Pound is a fun and unique way to shop for clothing. 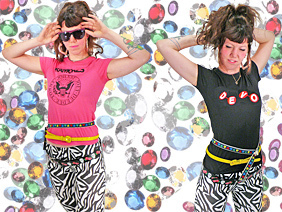 Bales of fresh clothing are put out daily (except Fridays) for a one-of-a-kind selection! 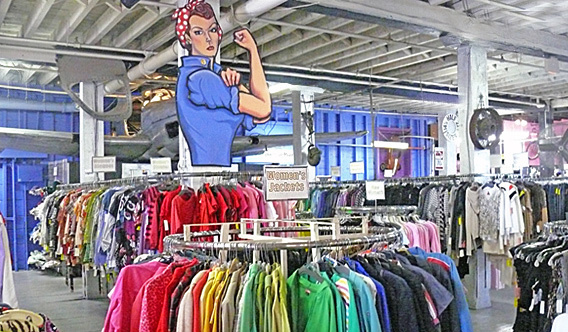 Clothing in all styles and sizes are all mixed together in a giant room, with tables set out for shoes, bags, belts, and bric-a-brac. 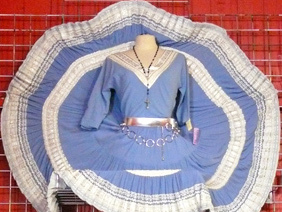 At only $1.50 per pound, By The Pound is a treasure trove of fantastic fashions at unbelievable prices! Check out The Garment District website to learn more!